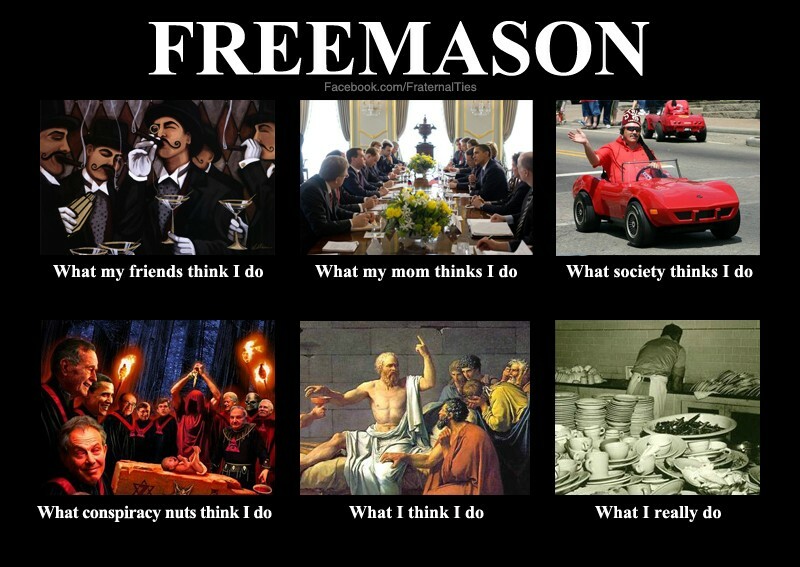 Home > Freemasonry, Humor	> You’re a Freemason? Oh, I know what that is. You’re a Freemason? Oh, I know what that is. The real secrets of Freemasonry are not the grips, signs, words, or anything like that. The real secret is that men who never clean up after themselves when they make a sandwich will happily toil away doing the dishes after a seven-course meal at their lodge. Please don’t let this get out the public.